In this session we demonstrate how, using your Microsoft Office 365 ProPlus license, you can reap the benefits of Office apps on iOS, Android, and Windows. From key end user functionality to IT admin control, hear the end-to-end story for Microsoft’s cross-platform Office apps. Hey, guess what? PPT now allows for 3D images. So that will TOTALLY make PPTs way more better and stuff, I’m sure. “1 of 10 employees will sell their corporate login credentials for $1,000 or more.” Not sure where they grabbed that stat, but interesting…they are continuing to hammer the notion of turning on multi-factor authentication for anyone with an admin account. The default O365 MFA mechanism is sending a temporary PIN to a mobile device. Someone in Service Desk should look at InTune. It is Microsoft’s MDM application. The mobile experience for O365 users can be configured across the organization. 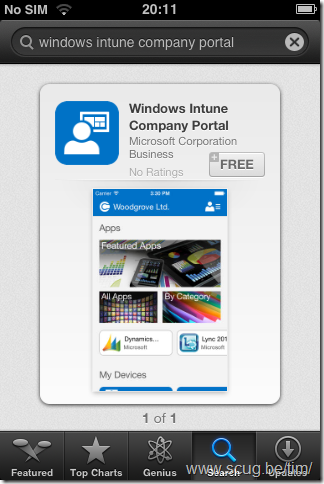 You define a company portal, then you assign the apps that appear there, and that’s what everyone sees. You can also set policies for OneDrive and SharePoint mobile apps via InTune. You can additionally restrict many functions in the browser for OneDrive and SharePoint. The demo they did was to restrict print, save as, and sync in OneDrive when you are logging into O365 from a non-company device. This could quell a lot of security concerns. It could also be incredibly annoying. But it’s a thing now with the InTune thing. There is a way to disable external sharing on a per-document basis. Again, this could help quell security concerns about certain clumps of content. You can even get more granular than that. You can restrict all sorts of things on a per-document basis.